There is no way to avoid it, at some point you are going to need a Westlake Hills plumber to work with. The important detail is making sure that the plumbing company you choose is worthy enough to provide you with service. For three decades now, smart homeowners and savvy business owners have been calling on Moore & More Plumbing to get the job done. Our approach is to only deliver the best results in this line of work. By doing so, you are more inclined to always call on us when you need service. This enables us to develop a long term working relationship with our customers. As a family owned Westlake Hills plumbing company, we treat our customers the way that we would like to be cared for. We are all part of the same great local community and it is important to be able to help one another. Give us a call today to get the quality work you deserve. Booster Pumps – If you have well water then you are aware the one drawback tends to be not enough water pressure. 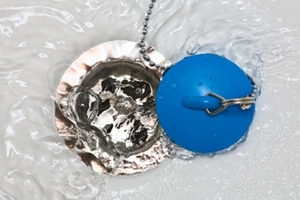 Adding one of these to your system will help increase water pressure so you can stop having to wait to shower until the washing machine is finished. Tree Root Infiltration – As wonderful as giant trees are for keeping your home under shade in the summer, they can also cause problems with root growth. One issue is when the roots damage your plumbing, sewer, water or gas lines. If this should happen, we can help you take care of it. Leaking Pipes – The problem with leaking pipes is that they tend to start as a drip and quickly develop into something much worse. Even worse is when you are not even sure where the problem is. The good news is that we can help take care of that for you. 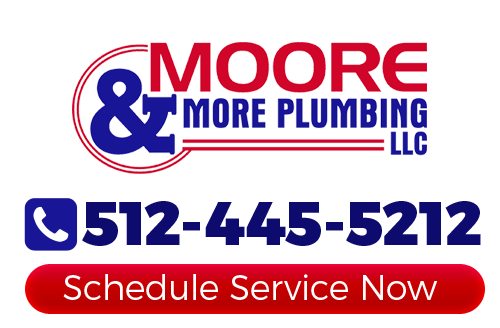 When you find yourself in need of an expert to work with for your plumbing services, call on Moore & More Plumbing. There are so many tasks that we can take care of for you and promise to leave you with exceptional results. Give us a call today so we can provide you with the results that you need. You are going to be glad you made the call that helped change it all. Now you know what a difference quality service makes. If you are looking for a professional Westlake Hills plumber then please call 512-445-5212 or complete our online request form.